Today’s organizations are socio-technical systems in which human workers increasingly perform knowledge work. Interactions between knowledge workers, clerks, and systems are essentially speech acts controlling the necessity and flow of activities in semi-structured and ad-hoc processes. IT-support for knowledge work does not necessarily require any predefined process model, and often none is available. To capture what is going on, a rising number of approaches for process modeling, analysis, and support classify interactions and derive process-related information. The frequency and diversity of speech acts has only been examined within delimited domains, but not in the larger setting of a reference model covering different types of work and domains, multiple takeholders, and interacting processes. Therefore, we have investigated interactions in the IT Infrastructure Library (ITIL). ITIL is a collection of predefined processes, functions, and roles that constitute best practices in the realm of IT service management (ITSM). 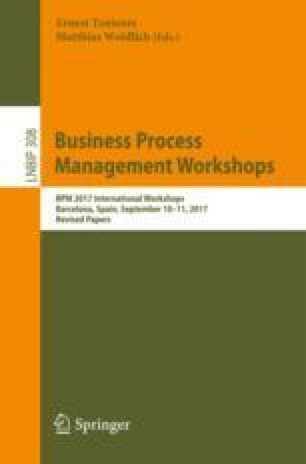 For ITIL-based processes, we demonstrate the importance, prevalence, and diversity of interactions in triggers, and that further abstraction of interactions can improve the reusability of process patterns. Hence, at least in ITSM, applying speech act theory bears great potential for process improvement.